Eating disorders are an illness and they are characterized by a change of diet; driven by psychological or other factors that affect a person’s perceptions of themselves, and subsequently lead to eating behaviors that adversely affect their physical or mental health. The most common eating disorders include bulimia nervosa, anorexia nervosa, and binge eating. There is a wide range of causes to an eating disorder, but it goes much further than a young person feeling the pressure to be thin. Researchers are finding that eating disorders are influenced not only by social factors, but also other complex interactions between psychology, behavior, genetic and biological sources. Ongoing neuroimaging studies have shown different brain functions between women suffering from bulimia and women without eating disorders. There are also studies looking at various types of psychotherapies for treatment revealing that eating orders require different approaches than other types of psychological problems. Family history for an eating disorder, substance abuse, and/or depression. 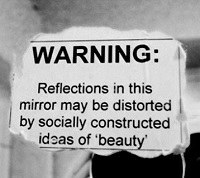 The social impact of being criticized for body shape, weight and eating habits. Professional expectations, for example where a career path requires a certain body weight, like ballet, modeling. Or in the reverse, heavier body weight and muscle tone for athletes. Sexual or emotional abuse, death of someone close, difficult relationships with family or friends. Stressful situations at work, school or other environments. Persistent obsession of thinness and unwillingness to maintain a healthy weight. 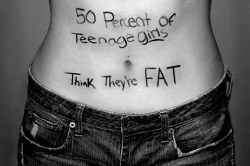 Distorted perception of body image. Lack of menstruation (among girls and women). Thinning of the bones (osteopenia or osteoporosis). Growth of fine hair all over the body (known as lanugo). Mild anemia, weak muscles and deterioration. Low blood pressure, and a slowed breathing and pulse. Structural and functional damage of the heart. Lower internal body temperature, causing a person to feel cold all the time. Chronically inflamed and sore throat. Swollen salivary glands in the neck and jaw area. Decaying teeth (from stomach acid), and worn tooth enamel and tooth sensitivity. Gastrointestinal problems, such as acid-reflex disorder. Irritation from laxative abuse and intestinal distress. Dehydration (usually severe from purging of fluids). Electrolyte imbalance (too low or too high potassium, sodium, calcium, and other mineral levels) which can lead to heart attack. With binge-eating disorder people are often over-weight or obese. They binge-eat, but unlike bulimia nervosa, they do not follow that with purging, fasting or excessive exercise. People with binge-eating disorder who are obese are at higher risk for developing cardiovascular disease and high blood pressure. They also experience guilt, shame, and distress about their binge-eating, which can lead to more binge-eating. Bulemia, which is five times more common than anorexia nervosa, can be more difficult to spot because in many cases the sufferer falls within the normal weight range, whereas anorexia sufferers become clearly underweight and binge -eaters severely overweight. A self image of being overweight even though they are not. Obsessive weighing and viewing of themselves in the mirror. Repeated claims to have already eaten, or will go out shortly. Cooking big or complicated meals for others, without eating any themselves. eating only low-calorie foods such as lettuce or celery. Refusing to eat in public places. If you feel that you are suffering from an eating disorder, or suspect it in someone else, don’t hesitate to contact a professional for help. Eating disorders are often sloughed aside, but they can be deadly.